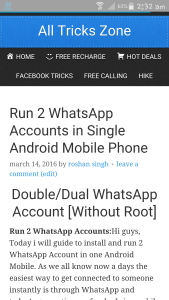 Run 2 WhatsApp Accounts:Hi guys, Today i will guide to install and run 2 WhatsApp Account in one Android Mobile. As we all know now a days the easiest way to get connected to someone instantly is through WhatsApp and today’s generation prefer dual sim mobile over single sim and they try to be active on social network with both sims. 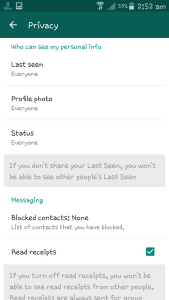 So here I come with a trick to run Multiple WhatsApp Account in single android phone. Many people searched for WhatsApp Tricks but they didn’t got success. So, after deep search and analysis I finally got a solution for this which is 100% sure working. 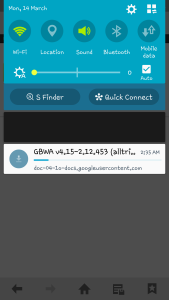 How to Set Pattern Lock on WhatsApp. 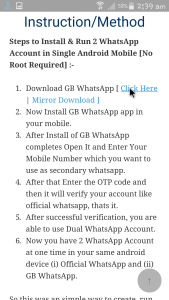 To run Dual WhatsApp Accounts in one android phone some methods are already available which needs root, which is not suitable for all android users. 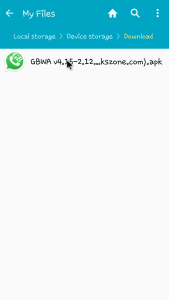 With my guide now you can install and run 2 WhatsApp Accounts in your android phone without Rooting Your Mobile. WhatsApp is now first priority for everyone to texting someone. Today’s maximum smartphones comes with dual sim feature so why not Dual WhatsApp Accounts feature. Dual WhatsApp Method: WhatsApp is now highest used platform for messaging app with 1000 million active users till February 2016. 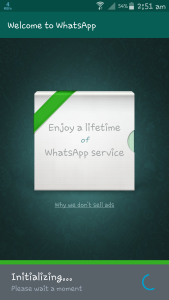 People enjoy the service provided by WhatsApp of lifetime free service now. Many users wants to run Dual WhatsApp Accounts in their Android Phones and they searched for it. Some of the users tried OG WhatsApp or WhatsMapp but they got errors because these are outdated/expired methods. 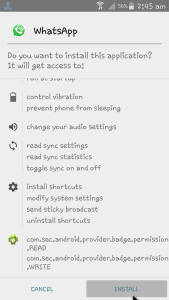 So here I am sharing a new method to install and run Multiple WhatsApp Accounts. There are so many sites available which provides methods of using Dual WhatsApp Account in single Device. But many of them are not working properly or fake methods which is only waste of time. 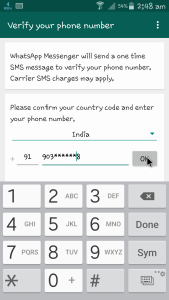 Here I provide one of the best method to create and run Dual WhatsApp Account in single device. So read carefully and follow the instructions given below and for more details about WhatsApp and its Hidden Tricks checkout this. 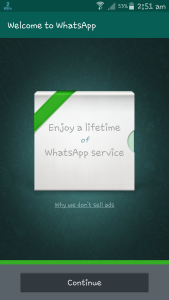 Now Install GB WhatsApp app in your mobile. 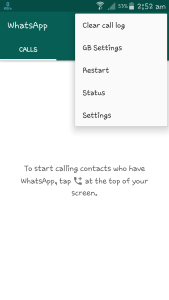 After Install of GB WhatsApp completes Open It and Enter Your Mobile Number which you want to use as secondary whatsapp. 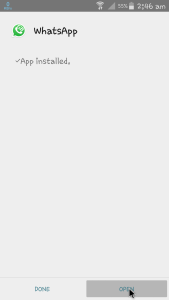 After that Enter the OTP code and then it will verify your account like official whatsapp, thats it. 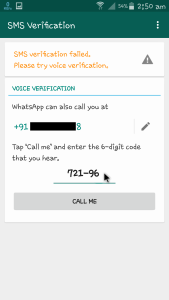 After successful verification, you are able to use Dual WhatsApp Account. 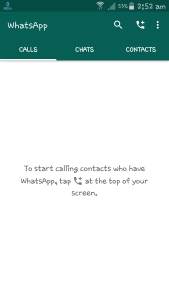 Now you have 2 WhatsApp Account at one time in your same android device (i) Official WhatsApp and (ii) GB WhatsApp. So this was an simple way to create, run and manage Dual WhatsApp Account at onces. To make it easy I also attached step by step screenshots for better understanding. If you have any issue regarding the instruction while using this method then feel free to comment here i will try my best to resolve your problem. 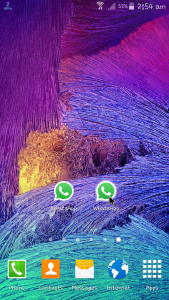 This was the method to install and run Dual WhatsApp Account in single android phone. This method is 100% working method without getting any error. 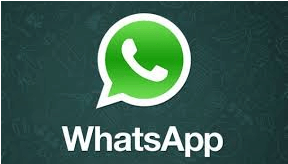 However, there are also some other methods to run 2 WhatsApp Account but according to me this one is the best method if you are looking for Dual WhatsApp in one Android Mobile.